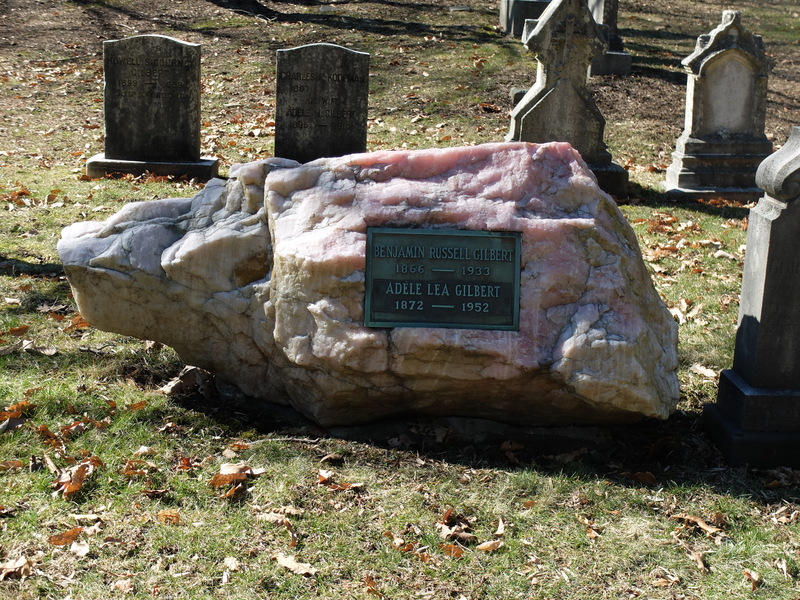 Throughout Mount Auburn Cemetery and many other burial places in the United States, visitors come upon rough boulders of pink translucent stone bearing nameplates of bronze or slate. What are these stones, where did they come from, and what do they mean? 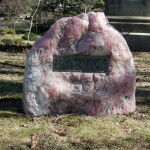 Mount Auburn has over twenty such boulder monuments, made of rose quartz, dating from the late 1930s onward. 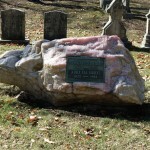 Three factors contributed to their appearance at the Cemetery: 1) the opening of pegmatite quarries in New Hampshire, Massachusetts, and Maine, such as the Bumpus pegmatite quarry in Oxford County, Maine, opened in 1927; 2) an increasing fashion for “natural” boulder monuments; and 3) the New England Hurricane of September 1938. Granites are formed from low-density molten material that makes its ways slowly up through earth’s continental crust from depth. The chief elements in the hot granitic melt are silicon, oxygen, aluminum, calcium, iron, magnesium, and sodium. These elements combine to form granite’s common minerals—mica, pyroxene, feldspar, and quartz (SiO4)—as the melt cools. One can picture this process as a sort of dating game, in which popular elements find partners, pair up, and remove themselves from circulation. Leftover after this early process, wandering lonely in a boiling slurry of water and silica, are the geeks and wallflowers among the elements: oddities such as beryllium, boron, titanium, and lithium, whose size or geometry make it difficult for them to form minerals unless there is a lot of circulating fluid (the social director?). Pegmatites are the crystallized remains of this rare-element-and-quartz-rich soup, and their contents are often astonishing. The water, circulating freely for eons, permits the growth of enormous minerals. The Bumpus Mine, for example, yielded a single beryl crystal that was 27 feet long, and equally gigantic feldspar crystals. Other pegmatites have yielded huge sheets of mica and lenses of spodumene. In and among these giants are found masses of quartz, which is usually the last thing to crystallize as the fluid cools. Quartz comes in several hues—white, smoky, rose, pink, and amethyst—depending on trace elements in the matrix or environmental conditions. Mineralogists, having long debated what causes the pinkish coloring of rose quartz, recently concluded that the color is due to minute amounts of a Fe-Ti mineral akin to dumortierite. Beryl, feldspar, mica, spodumene, and other pegmatite minerals were and are in great demand for industrial purposes and as collector’s items, whereas the quartz is mostly a waste material. If you are a quarry operator, what do you do with otherwise useless chunks of quartz? Naturally, you try to find a market for them. 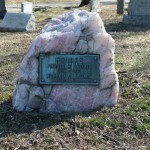 Starting in the late nineteenth century, you might find bereaved families who wanted to use them to commemorate their loved ones. There is a boulder here which might answer your purpose, but as it was dug out of the soil it has not that weather beaten appearance which is desired. The usual way is for those looking for such a thing to drive through the country and when they find a suitable stone arrange for some person, say a neighboring farmer, to take it to the railroad or if not too far away to this place. If you do not care for the weather stains and lichens any stone-cutter can break off for you a stone from the quarry. With an overabundance of quartz “slag” at pegmatite quarries on the one side, and customers looking for distinctive yet “natural” boulder markers on the other side, a match was made. 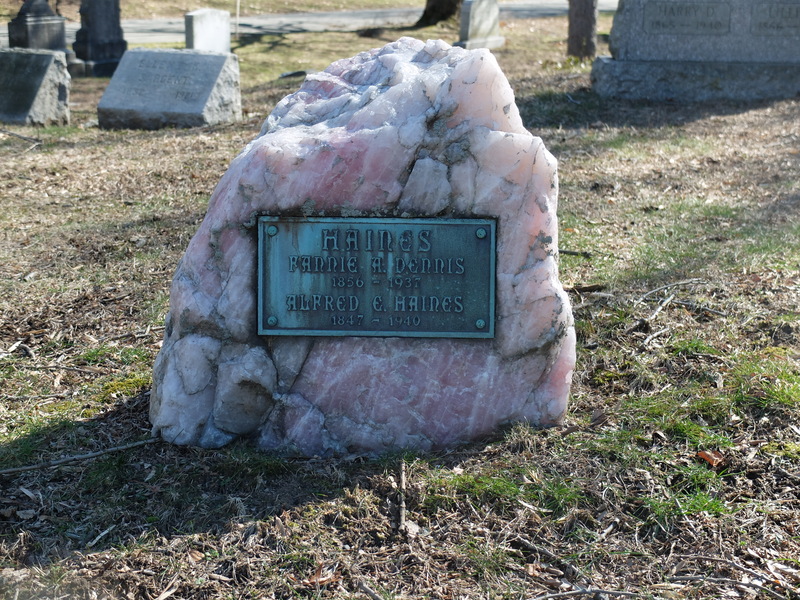 In the Boston area, the chief agent of this matchmaking was George R. Sands, a monument dealer with an office conveniently located across the street from the main gate of Mount Auburn Cemetery. 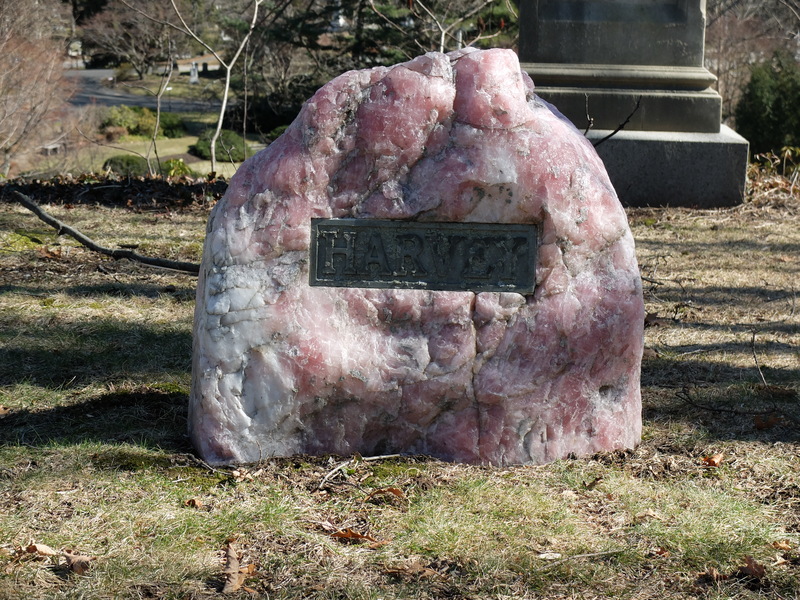 It is not known how rose quartz came to his attention, or where he obtained the boulders he supplied to clients, but records show that almost all of the rose quartz monuments at Mount Auburn passed through his hands. 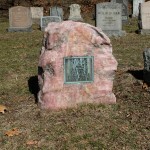 His own grave (Orchis Path 2164) displays a very large specimen. 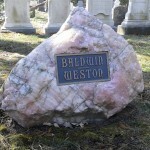 I shall appreciate your suggestion as to materials with respect to the above mentioned qualities, and shall be interested to know whether there are any other factors which ought to be considered in purchasing a lot stone. I would appreciate also your opinion regarding rose quartz. Clearly, rose quartz monuments were already “a thing” by this time. 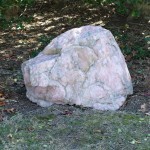 The advantages of rose quartz boulder monuments are just those listed above. They are very distinctive and easy to pick out in the landscape in any season. The “conchoidal” (shell-like) fracture pattern of quartz means that it cannot be carved except roughly (and indeed must be hand-quarried, as machine-quarrying shatters the quartz to bits), but it also means that accidental nicks and chips are unlikely to be noticed. 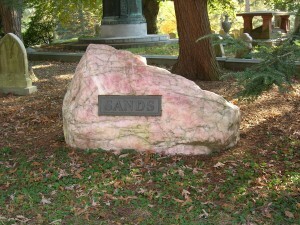 Quartz is a poor medium for the growth of lichens and algae, and it is extremely stable at earth-surface conditions. It does not react chemically with bronze. The only upkeep it needs is an occasional scrubbing to remove plant debris. 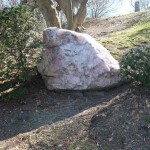 The final ingredient in the rose quartz monument bonanza was delivered with a punch. 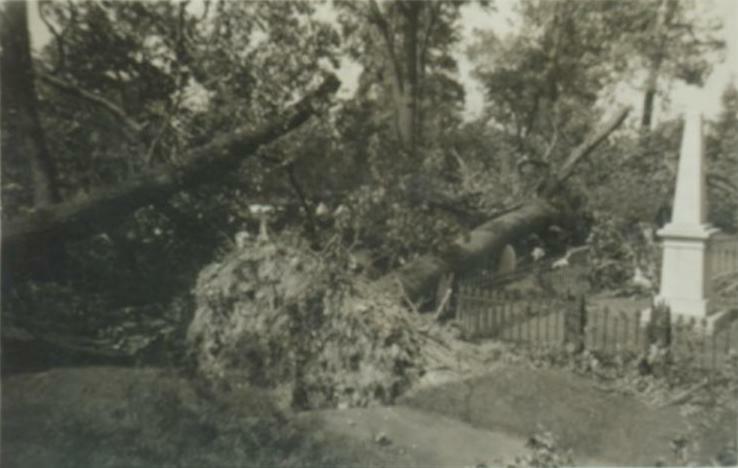 On 21 September 1938, the New England Hurricane tore a path through the Northeast from New Jersey to Maine, flooding cities, wiping out seaside villages, and knocking out power and communications through much of the region. 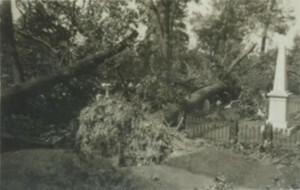 Mount Auburn Cemetery lost over eight hundred trees (almost 20 percent of its collection), and hundreds of monuments were damaged or destroyed by falling branches. 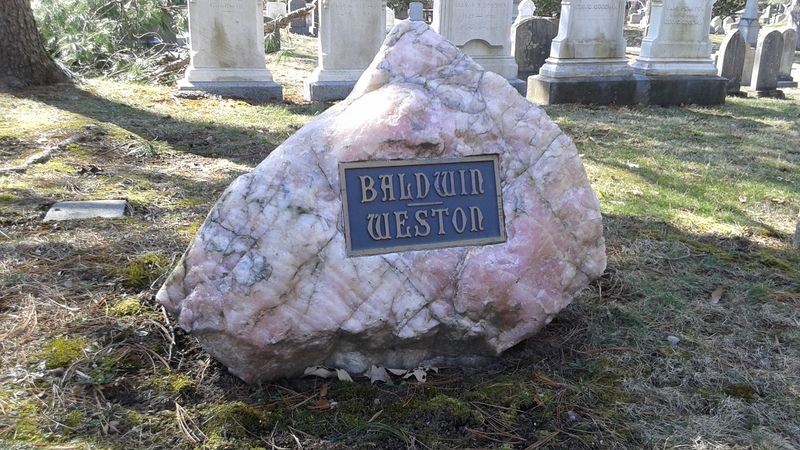 Clients were faced with replacing shattered monuments in their family plots, and many saw rose quartz as a sensible option for its longevity and simplicity—and low cost relative to, say, a carved and inscribed granite stone. Notably, the rose quartz monuments installed before the hurricane survived with no reported damage. 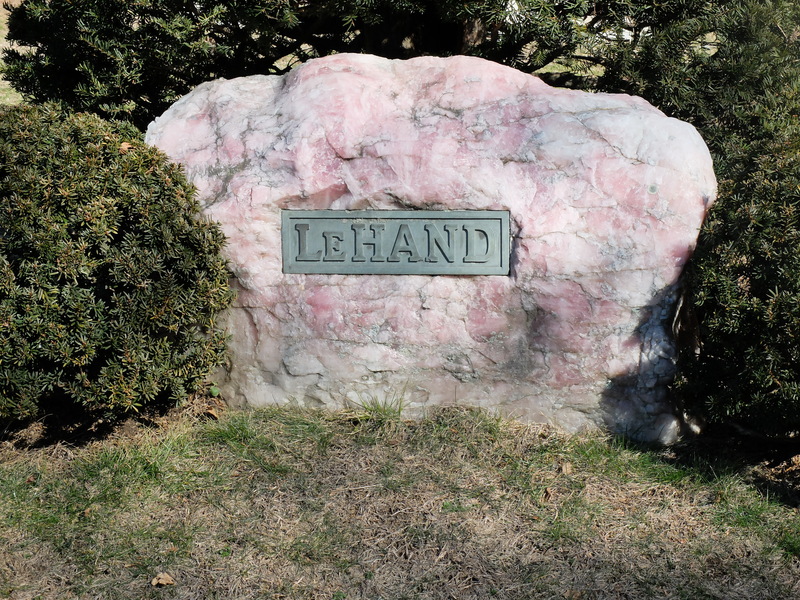 Due to the hurricane that we had last September, the opinion I previously had in regard to the durability and permanency of boulders with bronze plaques attached has been decidedly strengthened. . . . 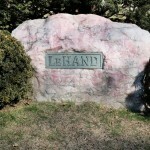 I think a boulder with a bronze plaque is most attractive, it is not easily broken, it is not affected by weather or stain and it naturally has a minimum maintenance charge. 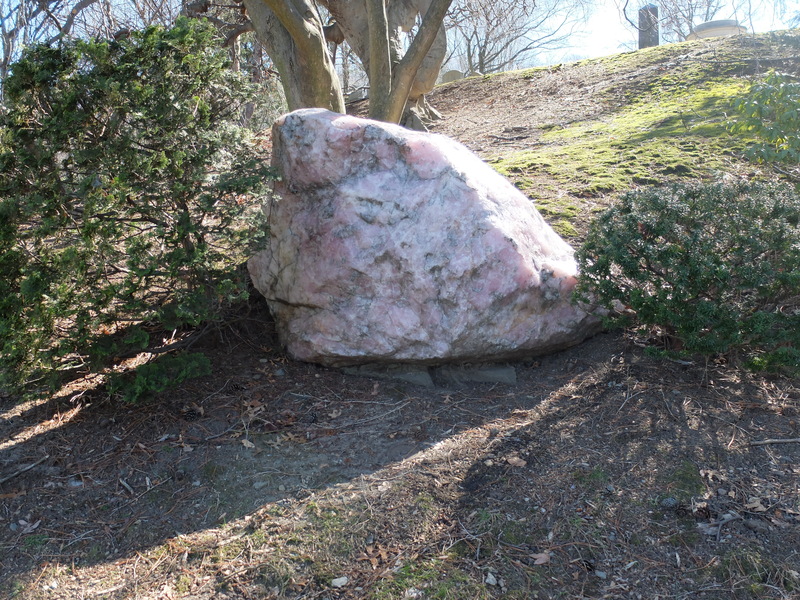 Peterson added, however: “Rose quartz in my opinion doesn’t fit into the landscape as readily and does not look as natural. 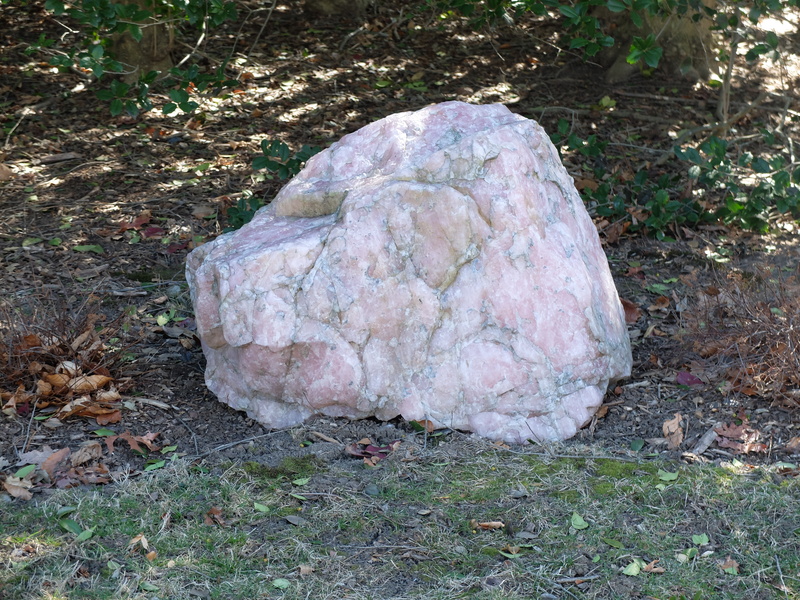 For this reason it does not appeal to me as much as an ordinary field boulder.” In fact, though, this client went ahead with the rose quartz despite the discouragement of the superintendent. 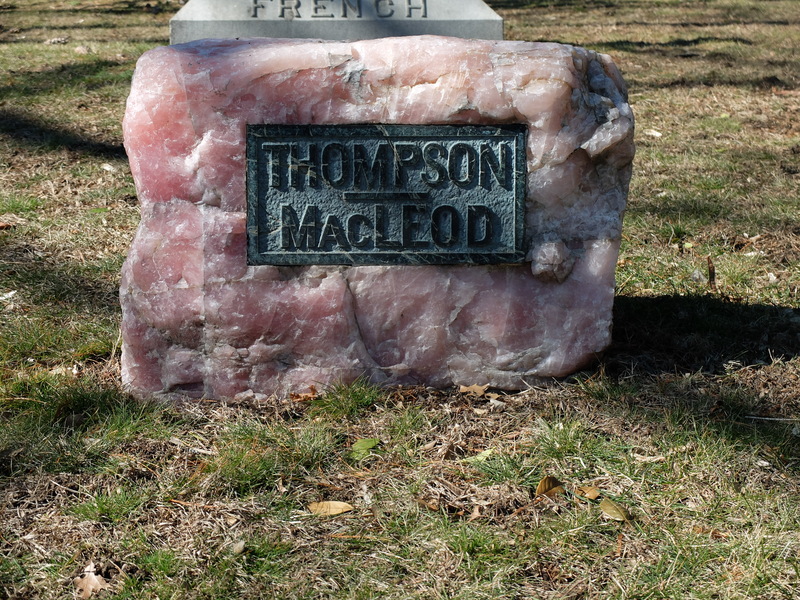 Perhaps he wanted those very “modern” qualities—distinction and artificiality—to mark out as special the grave of his beloved daughter. The fashion for boulders may have gone too far. 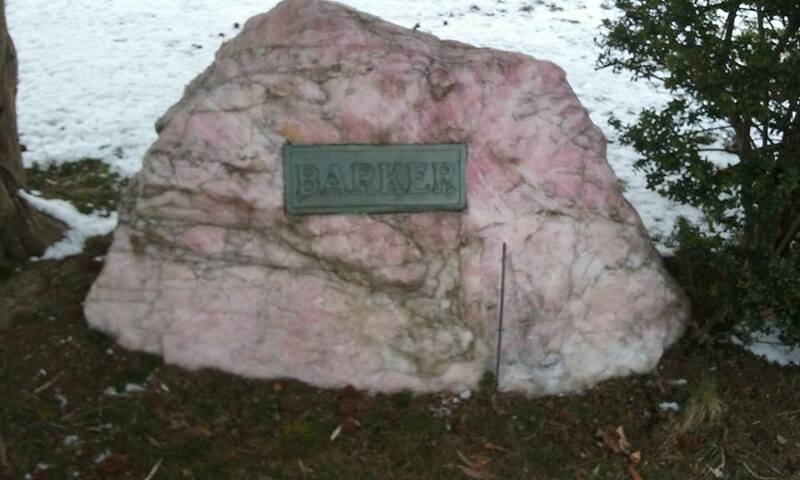 The Archives contain a letter to a customer from Cemetery Superintendent Oakes Ames in 1958: “We no longer permit the introduction of pink granite boulders into this cemetery, . . . but I am hoping to . 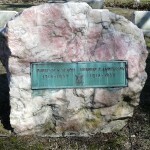 . . make an exception in this case.” What offense was committed by the pink granite is not mentioned. 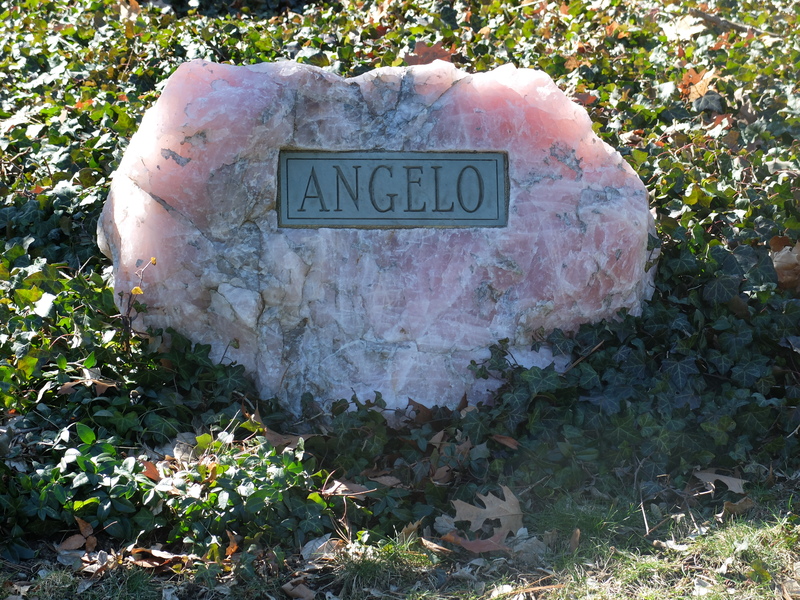 Rose quartz monuments have continued to arrive at the Cemetery since the 1930s, and indeed another was recently installed on Amaryllis Path. Quarrying no longer takes place at the Bumpus Mine, though occasional tours are led there. But rose quartz is still quarried—by hand— in South Dakota, Brazil, South Africa, Madagascar, and India. Julia S. Goreva et al., “Fibrous Nanoinclusions in Massive Rose Quartz: The Origin of Rose Coloration, American Mineralogist, vol. 86 (2001), pp. 466–472. 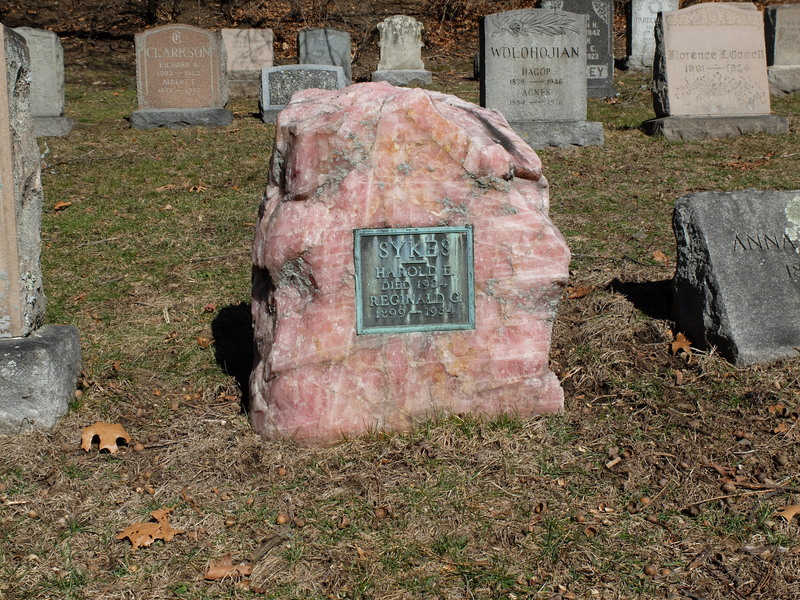 Von King, “The Origin of the Rose Quartz Monument,” Epitaph: The Friends of Mount Hope Cemetery [Rochester, NY], vol. 29, no. 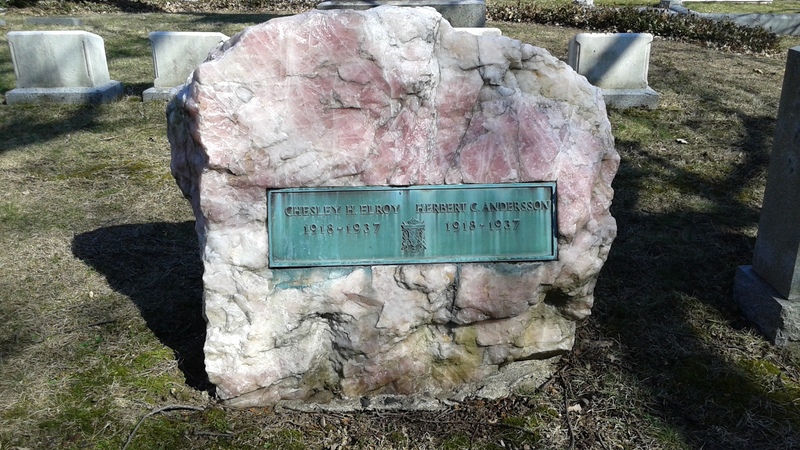 1 (Winter 2009) gives the very interesting history of the Julius Anderson rose quartz monument in Rochester. Anna M. Broadie, “Concord, Mass.,” The Warren Review [Williamsport, IN] (3 September 1891), p. 8. Concord Enterprise (24 November 1892). Concord Enterprise (2 August 1894). E.g. the quartz monument of Alfred Haines (Upper Elm Avenue 8156). John Peterson to Edward B. Barker (3 March 1939), MAC Archives Lot File 8124. 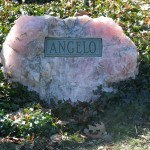 I am very much interested in a pink quartz stone. 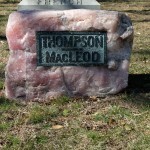 Do you work with other cemetarys ? My plot is in North Hadley Ma. 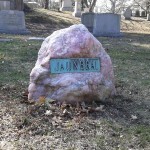 I imagine the prices are much higher than a regular monument. 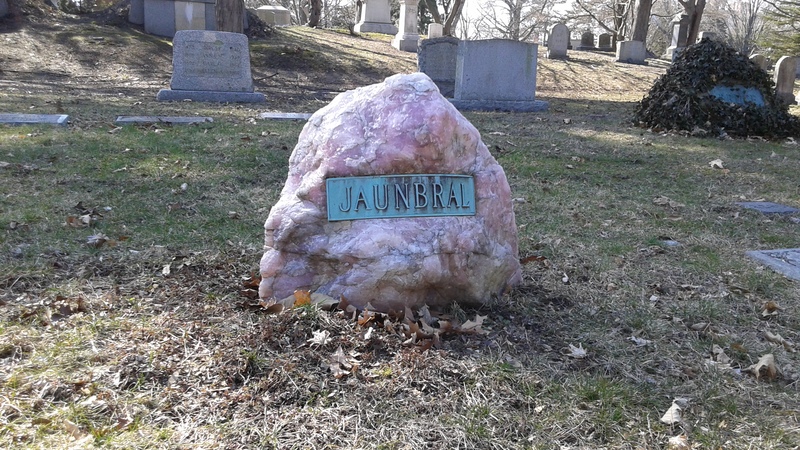 My local cemetery company said that they could not supply any more quartz because the quartz from New Hampshire was depleted. I look forward to your reply. If I purchase it from you do you put it in the cemetery and how much more would that cost. 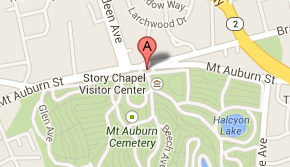 I’m sorry that Mount Auburn Cemetery is not a monument dealer. Good luck on your quest.